Every time a new Bella showroom opens, an angel gets its wings. Okay, we can't exactly confirm if that happens, but we do know our hearts burst with happiness! 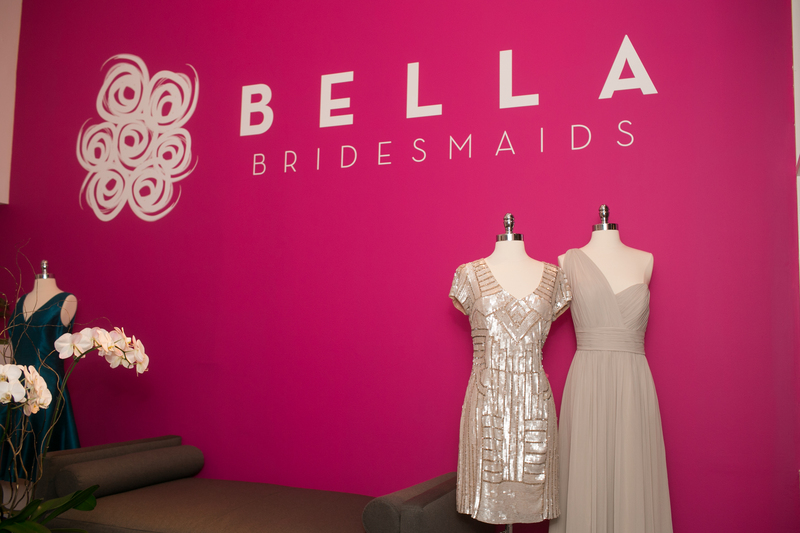 Bella Bridesmaids is a franchise so each location is owned and operated independently by some pretty cool female entrepreneurs. We are firm "Bey-livers" in Queen B's mantra...who run the world? GIRLS! 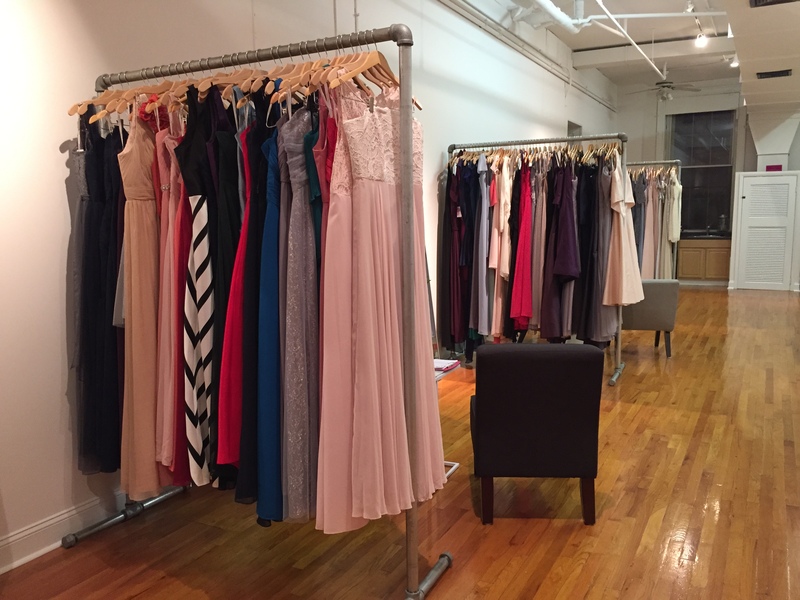 We sat down with the teacher turned Bella to learn all about this amazing new showroom. My name is Meredith and I'm from the beautiful state of South Carolina! I am married to my college sweetheart, Chris. We met at Furman University (GO PALADINS)! After college, I joined Teach For America and began teaching middle school science in rural North Carolina. I LOVED teaching science and really bonded with my middle schoolers! After 3 years of teaching in NC I got married and moved to Tennessee where my husband was stationed in the Army. I continued teaching middle school science there for 3 more years. Then, my husband decided to leave the Army for civilian life and everything changed! My husband's new job brought us to the Philadelphia area and I became the Director of Talent and Recruitment for KIPP Philadelphia Schools, an amazing charter school! This was my first job outside of the classroom and while I definitely missed my students, I found that I really liked interacting with people and this job allowed me to do that, a lot! 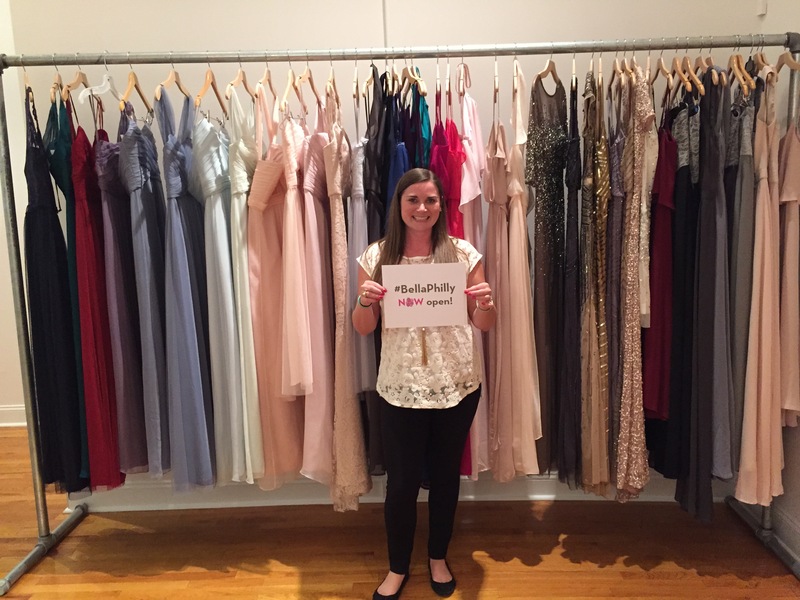 Two years later, I decided to enter the world of small business ownership with Bella Bridesmaids and here I am today as the owner of Bella Philly! What made you decide to open up Bella Philly? I was a frequent customer of Bella Bridesmaids! 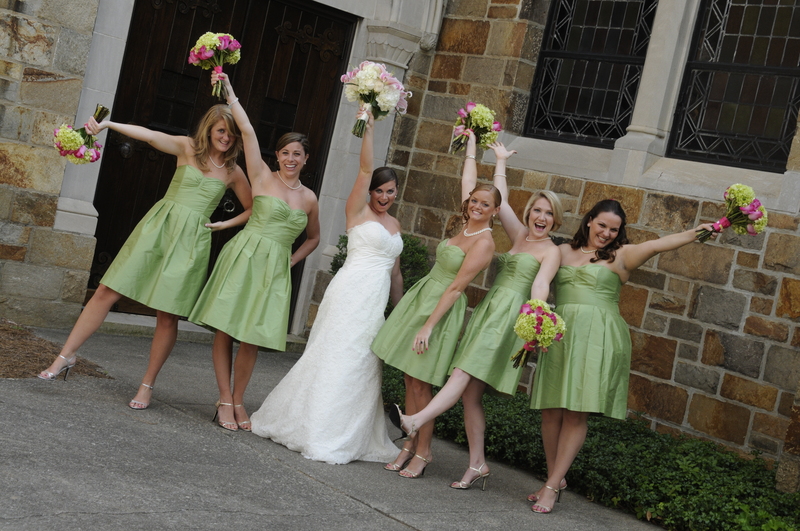 My bridesmaids got their dresses from the Greenville, SC Bella store when I got married and for almost every wedding I was in, we used Bella. I had never lived far away from one until I moved to the Philly area. I was in two weddings last year and got really frustrated that there wasn't a Bella near me (or anything even like Bella) so, I decided that I would be the person to open one up :) I'm so glad that I did! 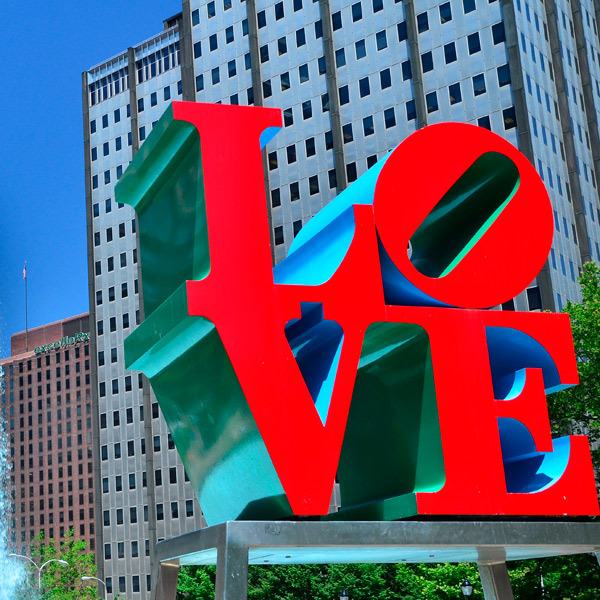 What do you love most about the city of Philadelphia? Philadelphia is rich with so much history and it truly is a city of "brotherly love". Even though Philly is a big city, people look you in the eye and say hello as you walk down the street. There's just such a friendly energy here! What's been the more exciting or rewarding part of being a small business owner? It's pretty cool being my own boss. It still feels weird that I get to make all the decisions without asking anyone's permission! Since I'm calling all the shots, every tiny thing that works out is rewarding. I get so excited when I realize that I really did make a good decision on anything from picking the right dresses for my showroom down to choosing the right vacuum cleaner. There's so much hard work that goes into owning your own business that every single win feels amazing! What color/style trends are you loving for 2016 weddings? THE BLING!!! Sequins and bling are in and I'm loving it! I've always been one to love the sparkly things in life. We know one thing for sure, Meredith is filled with enthusiasm! She is so passionate about not only helping brides and bridesmaids find the perfect dress, but making sure they have a great time doing so. There is plenty of laughter and fun going on at Bella Philly so be sure to check it out.